The foundation for any city is its people, not its government. The human potential within any city is the very fabric of economic dynamism. 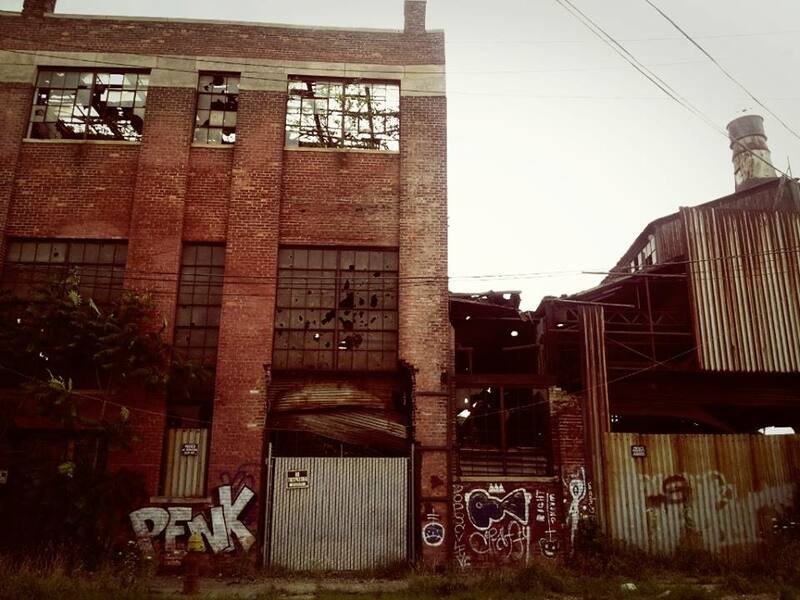 Unfortunately, Detroit has served as an example of how potential is severely weakened once a city’s government body leaves its legitimate function of lifting obstacles behind and proceeds to mismanage its finances while imposing more restrictions on its residents. During the latest Netroots Nation conference, which took place in Detroit between July 17th and 20th, progressives came together to debate state politics. Their focus was to organize local progressives to develop solutions to the problems they believe to have been established by the state of Michigan’s particular brand of conservative politics. During the same period, members of a free-market network of think tanks that included the Manhattan Institute, Center for Local Government, Illinois Policy Institute, and State Budget Solutions were also on the ground in Detroit to focus on the problems mainly linked to the Democratic administrations that have been leading the town since the early 1970s. Local businessmen and women were urged to take part in the debate as think tanks organized events and engaged with the local community. With the help of the Franklin Center, representatives of a series of blogs and online news organizations also had the opportunity to become involved in the conversation. I was one of them. During my stay, locals appeared to give little thought to the events taking place in their city. As I interviewed business owners, veterans and newcomers alike, several noticeable differences between them were made clear. Among associates of the Detroit Venture Partners, excitement was always evident. As a company created to support start-ups, Detroit Venture Partners motivates entrepreneurs to rebuild the city of Detroit. Its approach is simple: never mind the past constraints, think creatively to come up with stronger solutions. During a tour of the company’s building, one of the first things Detroit Venture Partners’ Jake Cohen brought up was how quickly the number of people using their structure went up. Jake Cohen shows us the buildings DVP has purchased in order to provide better Downtown access to start-ups. Several companies start out by using DVP’s space, but as they grow, they move to their own spaces in nearby buildings. 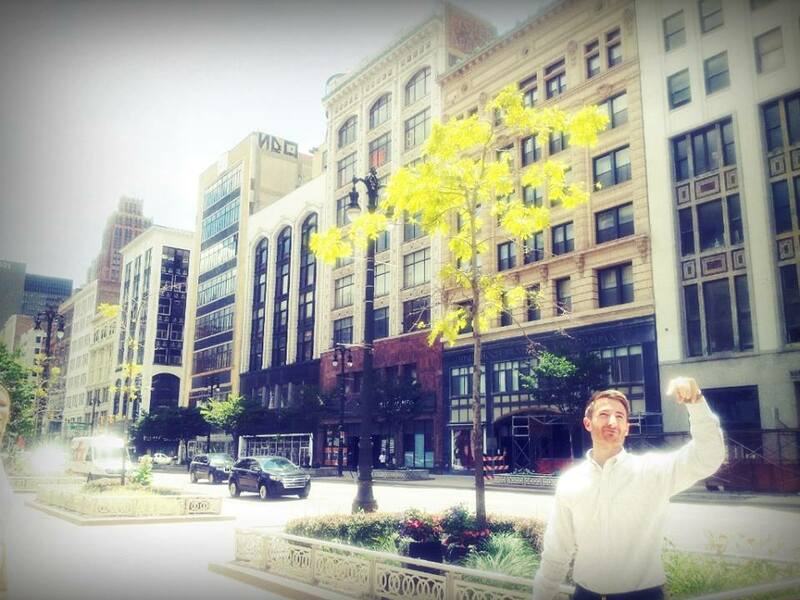 Twitter moved one of its sales offices to downtown Detroit and is now using the space provided by DVP. 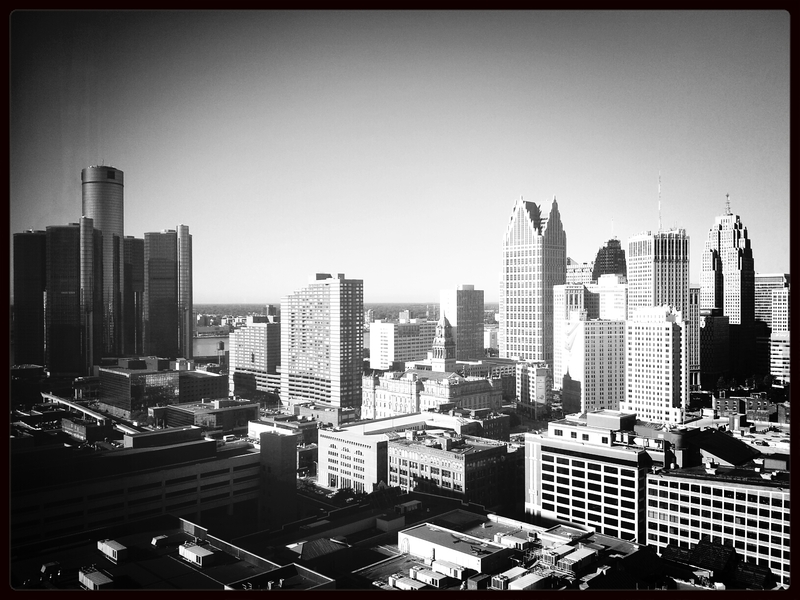 Microsoft Ventures, and other venture funds, have also moved to the heart of the motor city. As far as start-ups are concerned, things are growing fast. In a relatively short period of time, a series of new companies were created. DVP is responsible for at least 16 new and fully established companies operating downtown. One of the start-ups using DVP’s space is Boost Up, a company that helps consumers to save money for big purchases. Its founder, John Morgan, claimed his company’s move from Chicago to Detroit had a lot to do with the proximity to automakers, but also a lot to do with the opportunities brewing in the motor city. When asked whether the city’s tax structure had represented any concern, Morgan replied that it had never been a main consideration. Other businesses’ representatives had the same attitude towards the city’s governmental structure. Chalkfly, a company focused on selling office supplies online, also moved to the city to be part of the downtown revitalization initiative. During our interview, details concerning the company’s brushes with local government bodies were never brought up. Tech start-ups motivated by the urge of rebuilding Detroit, it seems, never had to go through the burdensome process of dealing with local regulatory bodies, which only helped. 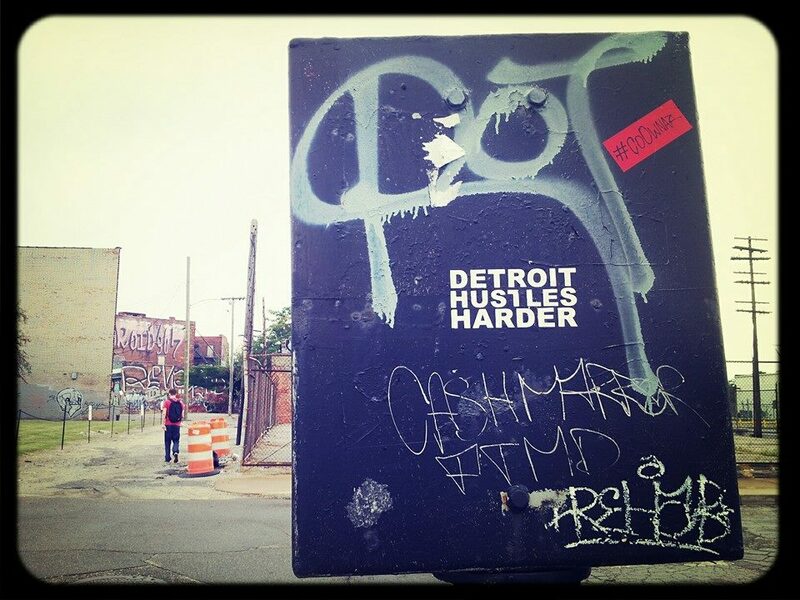 For all tech newcomers, the prevailing attitude is to embrace the fact that the motor city is finally ready to start again: “the truth is that the bankruptcy is a trailing indicator of what happened in the past and we’re finally dealing with these issues.” To Cohen, the city has been on the rise now that people are being encouraged to do things differently. City officials can’t afford to keep up, so they are not trying to come up with new ways to halt new development. But are members of other industries following the lead? During a conversation I had with a downtown coffee shop owner, I learned he wasn’t bothered by the high taxes he pays to keep the doors open. During the three days I spent downtown, I never saw more than a couple of people buying coffee there, yet he insisted he was happy to pay more than a thousand dollars a month to the city. Tony Piraino, the owner of Firebird Tavern and a local who had had other businesses in town prior to the financial crisis, shared the sentiment. He didn’t appear necessarily happy to be paying massive taxes to the city to keep his business open, but to him, onerous taxation was just “part of how things work.” In spite of the apathy, he did voice frustration over the city’s regulatory climate, the extensive costs he has to cover to keep up with the officials’ ever-changing directives, and the difficulty in dealing with the city’s governmental body. A new business owner in the same industry, Piraino said, would not know who to talk to in order to get things done. Does that cause new entrepreneurs to simply give up? I asked, “Sure thing,” he replied. Those who wait for government assistance in Detroit are quickly discouraged, whereas others who are taking matters into their own hands are succeeding. To find the right solution to Detroit, Andrew Moylan of R Street Institute said during an event, we must first “find the right diagnosis.” To Michael Allegretti, VP for programs at the Manhattan Institute, the focus should not be placed on making government smaller alone, but to make it effective. Seasoned business owners might not be keeping up with the changes, but newcomers and others who are not reaching out to the city for help, are filling the void. Whether they arrived at their own solutions instinctively or not, theirs is an approach that indicates the real diagnosis: prior to the bankruptcy, the city was not acting as a partner, or even as an enabler to small or medium businesses, it was mainly existing as an impediment, which drove up depopulation and caused the motor city to lose its very foundation. The dynamic between the influx of entrepreneurs and Detroit’s crumbling bureaucratic system sheds light on the most important factor behind any major city’s economic growth: freedom. Momentarily, there’s nobody in Detroit to stop this new wave of passionate entrepreneurs; one can only hope that it stays that way. Posted in Government, inefficiencyTagged Detroit, Detroit Venture Partners, free marketsBookmark the permalink.